Chalkboards and Magnetic Chalkboards. Things have come a long way since the days of the old slate blackboards. Today chalkboards are offered in a variety of writing surfaces that are more efficient and effective than they ever were. 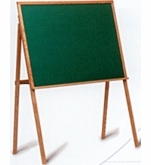 It used to be that the old black slate chalkboard was the only option available as a classroom teaching aid. 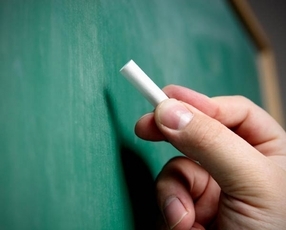 Now, although many schools and almost all businesses have made the switch to dry erase marker boards, the plain old chalkboard still holds a spot in many people's hearts. Some people simply still prefer chalkboards over dry erase boards and many people are still now using them in their homes and in their restaurants. They tend to have a more nostalgic and softer look to them. 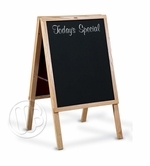 Whatever it is that you want to use your chalkboard for, we think we will have the correct solution for you. We have three different chalk writing surfaces to choose from. 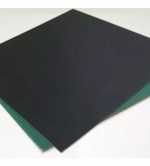 There is an economical composition chalkboard, a durable high pressure laminate (HPL) boards and the best chalkboard is the magnetic porcelain steel chalkboards which are used in schools all around the country. 36" Tall x 22" Wide Printed or Blank. Double sided. 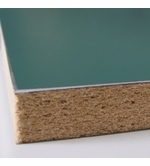 Solid oak or Aluminum. 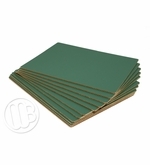 Extra Large, Black or Green Chalk Writing Surface. 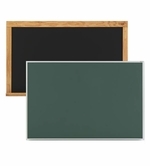 Green or Black Porcelain Steel, Magnetic Chalk board skins.